“hidden”: The Document is not visible at all on any screen. “visible”: The Document is at least partially visible on at least one screen. This is the same condition under which the document.hidden attribute is set to false. Support for hidden attribute is maintained for historical reasons. 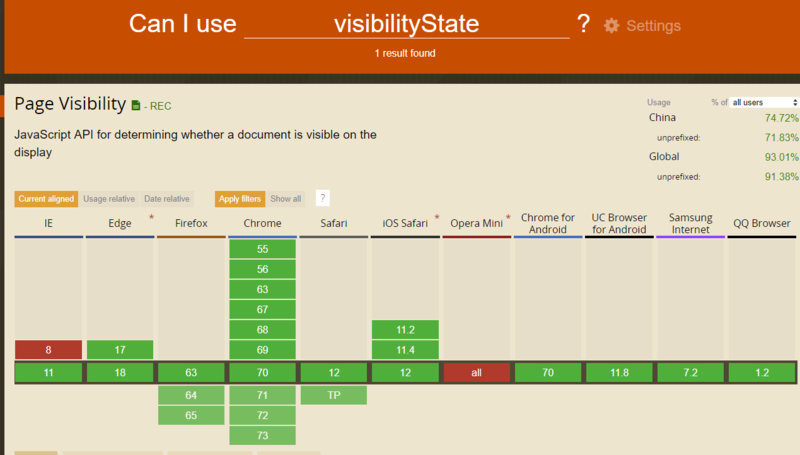 Developers should use visibilityState where possible.